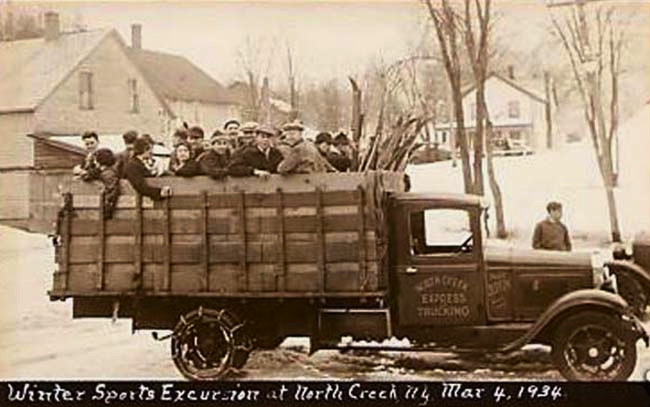 Last fall the North Creek Snow Train — a tradition originally started in March of 1934 — was reborn when the Saratoga & North Creek Railway announced the rebirth of the service for skiers and riders. 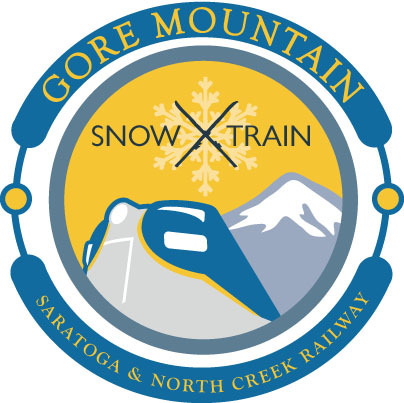 This past week the rail line operator announced that the modern day version of the service — dubbed the Gore Mountain Snow Train — will operate on an expanded schedule during the 2012 – 2013 winter season. The line will provide round-trip transportation from Saratoga Springs to North Creek every Friday, Saturday and Sunday from January 11 until the middle of March. The Saratoga & North Creek Railway introduced the service last year hoping to attract visitors to North Creek and Gore Mountain. A free shuttle is available in town to transport passengers from the station to the mountain. Headed northbound from Saratoga the train makes stops in Corinth, Hadley, Stoney Creek, Thurman, The Glen and Riparius before arriving in North Creek. Last season trains departed on Fridays, Saturdays and Sundays from Saratoga making one round trip to North Creek each day. This season another train has been added on Saturdays, leaving Saratoga’s West Avenue. This additional the train makes the service more useful for skiers, giving them the flexibility to ski the morning, the afternoon or both. Find the full schedule on the website for the Saratoga & North Creek Railroad. Quick note about last season…the trains did leave Saratoga at 7AM during the winter. We were on the slopes by 10AM at Gore. Thanks for the assist NELSAP. The information I had seemed to indicate that the 7am departure and the 3:45 pm return were the added to the schedule. The correction has been made above. No prob Harv – I HIGHLY recommend this trip – not the fastest way to Gore, but the most enjoyable and scenic. What is the chance of coordinating the runs so that NYC area skiiers could take the Amtrak Montrealer from Penn Station to Saratoga, then “transfer” to the ski train? It could be a whole marketing package directed toward 9 million people. Then again, I really don’t want 9 million people discovering Gore. Kid, I just don’t think it’s practical, or maybe marketable to take the train from NYC to Gore. I think it’s just too much travel time for a weekend. I wish that wasn’t so, for a lot of big picture reasons. I don’t really want Gore to be crowded either, but IMO mass transit has to be a viable option, if we are going to protect our winters. Hi Harvey, I looked again at the schedule…last year on weekends the trains did leave at 7am…now it is only on Saturdays that it leaves that early. Friday and Sunday they leave at 10am, which won’t work for skiers. That kinda stinks…for skiers it will just be available on Saturdays. What is the point of this? It’s a 1 hour easy drive from Saratoga to Gore. Am I missing something here or do they actually make money on this route? The idea of the train was to bring visitors into North Creek. Not sure if it was originally envisioned this way, but it turns out the “off-season” is actually peak season for the train. In summer as many as 500 visitors get off the train and have been spending money in town. The local merchants are pretty excited about it. Winter has been slower. Speculation: The mind set (and demographic) of skiers is different than shoppers. Shoppers aren’t hungry to ski morning corduroy, and enjoy the views from glass ceiling car, the dining and the carefree travel. Skiers have used the train too, but not in those numbers. The company is expanding service, and also using the line to transport freight, so I’m guessing they are making some money.